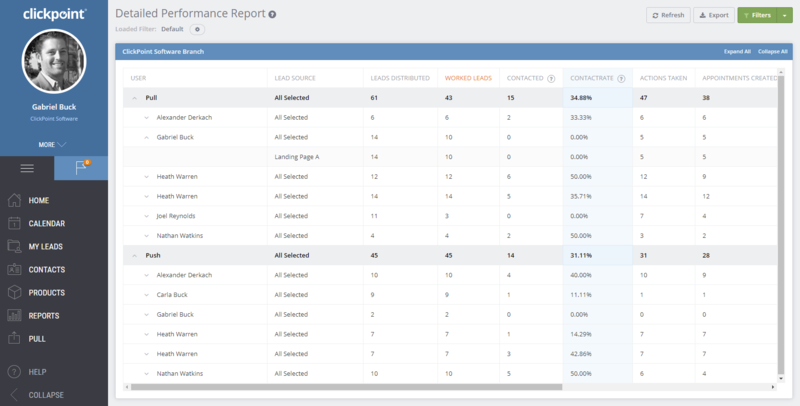 SalesExec is designed to help marketing managers improve lead quality by instantly capturing leads from a variety of sources while providing real-time reporting which highlights metrics needed to pinpoint underperforming lead sources. We are excited to announce that we have released new marketing campaign attribution and analytics, giving marketers the ability to track Marketing Channel and Marketing Campaign performance, with marketing budgets to provide marketing data that drives actionable decisions. When marketing managers can identify which sources are performing, they can respond by increasing lead volume or turning off the pipeline when leads are underperforming. With SalesExec clients improve lead quality with actionable insights that marketers can use to drive more leads to sales channels. Marketing teams can rest assured that every lead is called, emailed, and followed up with at the right time to generate more contacts and meaningful conversation. Once you take away the unknown of the sales process, the only thing left is determining which lead source is underperforming. Tag Marketing Channels (web, offline, FTP, phone) associate it with a Lead Source (Facebook), and then associate a Campaign (Spring CPC Campaign) and a budget or cost per lead. View key metrics such as Cost Per Lead from Budget and Cost Per Acquisition for converted leads by Channel, Source, and Campaign. Track sales performance by Channel, Source, Campaign or Marketing Partner. The Enhanced Lead Information is now available on mobile devices as well: Android / iOS. For a detailed walkthrough and configuration, visit SalesExec Help Center. Feel free to reach out with any feedback! This entry was posted in ClickPoint News / Lead Generation System and tagged lead generation, lead management software, lead management solution, lead nurturing process, lead nurturing strategies, marketing automation, sales engagement platform on April 24, 2018 by Gabriel Buck.